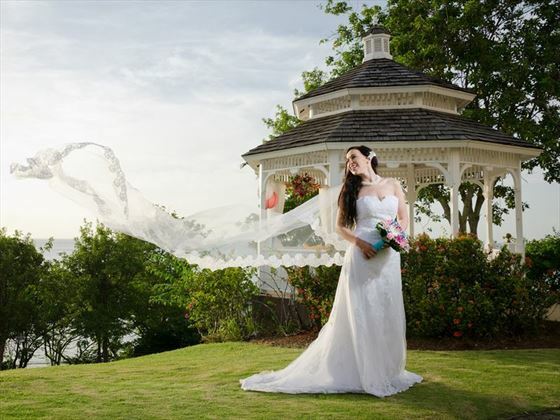 Whether you want to marry in an elegant gazebo looking out onto the waters below, or on the powdery beach for the ultimate beach ceremony, this is an elegant setting for the big day. 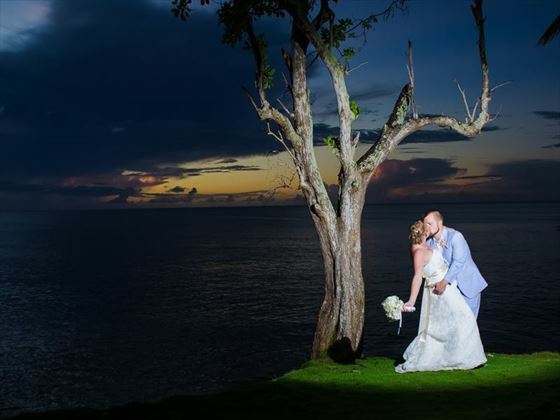 Weddings here are memorable and always a real occasion – everything this special day should be. 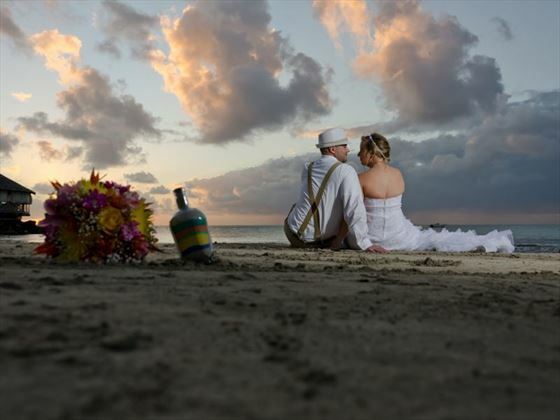 Your wedding day will be customised to suit you, so you can choose the location that fits your style best. 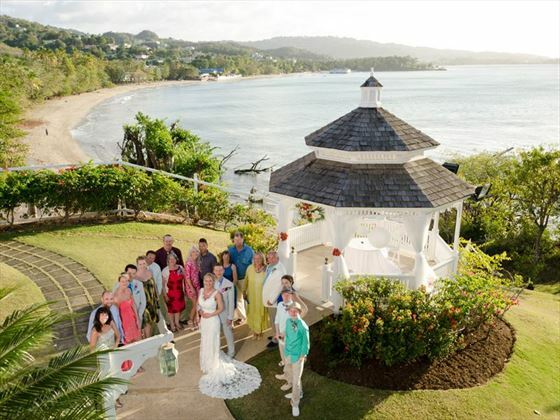 Opt for a ceremony and reception at Morgan’s Pier, which overlooks the sea, or exchange views in the hilltop gazebo. Alternatively, you can plan a garden wedding surrounded by exotic flowers, or on the white sand beach with lapping waves as your soundtrack. 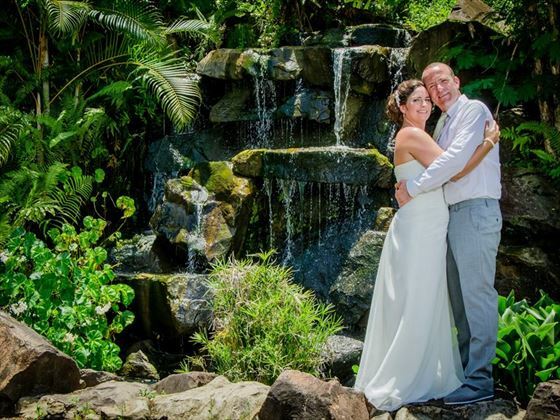 Receive your Classic Wedding for free when staying in a Premium Double Room and above category or higher on 7 nights all inclusive stays when travelling in 2015. The free wedding is subject to availability. ($395 wedding licence payable locally). Receive your Classic Wedding for free when staying in a Premium Double Room and above category or higher on 7 nights all inclusive stays when travelling in 2016. The free wedding is subject to availability. ($395 wedding licence payable locally). Weddings are not available between 22nd December - 2nd January inclusive. Valid original passport which expires more than 6 months after the date of your return to the US. You will need to visit the Ministry of Legal Affairs in St. Johns to apply for your marriage licence. 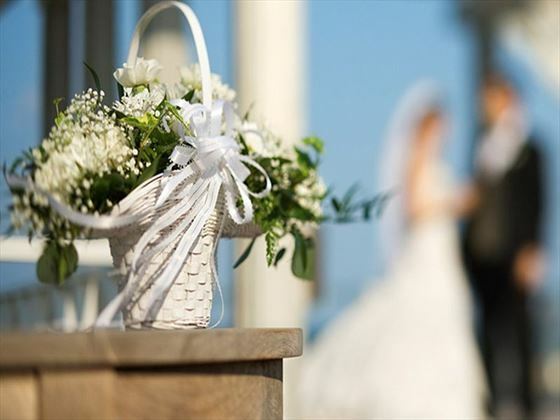 Please note that some wedding package may not include the transfer cost to the Ministry. All legal documents must be in English or legally translated into English. All translated documents must be from a legal translator with letterhead, stamp and seal from the translator's office or notarised by a Notary Public. 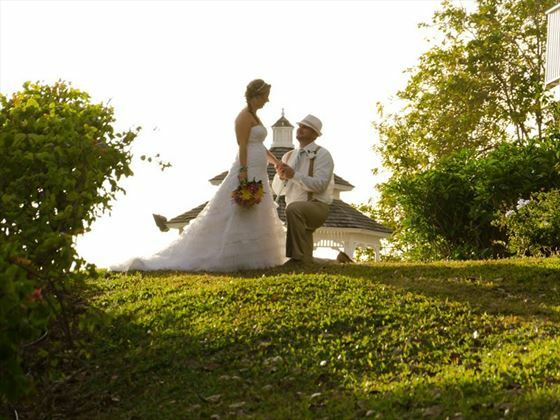 Why book your St Lucia Wedding with Tropical Sky?